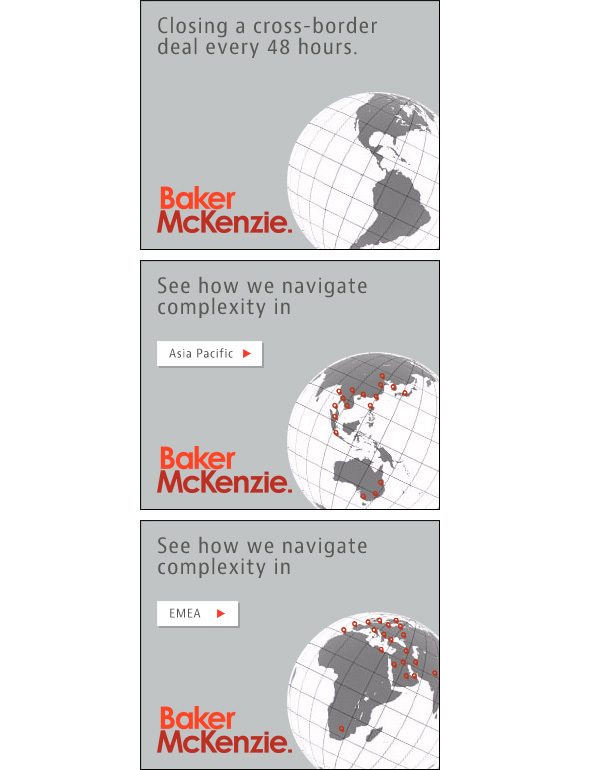 Solarsilk partnered with our friends at SS+K on some fancy new HTML banners for the global law firm of Baker McKenzie. This 8,600-lawyer team is a global force for simplifying complex international legal matters. Here’s one sample of 5 concepts we built.